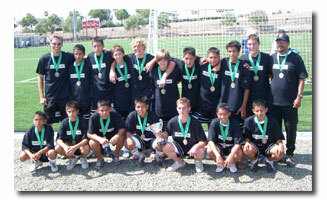 Team Soccer Camps (ages 5 to 16) are customized to prepare your team for the upcoming season. Typically our team camp format dedicates the morning session to skill development and position specific drills. The afternoon session is designated for match play, where our coaches will focus on team tactics, confidence and teamwork. Coaches will monitor progress and provide all players with an evaluation report at the end of camp. Team camps are offered at all our sites. We offer a half day (9:30am - 12:30pm) and a full day (9:30am-3:00pm) camp option. Team Camps are available at all our sites. Call us for special discount pricing.